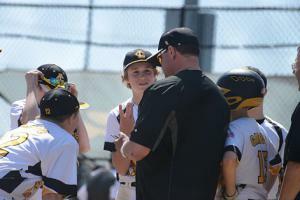 WAUCONDA, ILLINOIS, USA, April 11, 2019 /EINPresswire.com/ — Martin Garcia of Wauconda, IL is a regular volunteer coach with the USSSA, which instills lasting positive values in youth across America. Apart from teaching them to be better athletes and individuals, coaches like Martin Garcia encourage youth to get involved in their local communities and support charities and outreach organizations where they can. Before Martin Garcia took on the role of volunteer coach and mentor with the USSSA, he led his own softball career and earned many distinctions for his athletic talent. He initially played with the Licorice Softball team and helped them come in first place during the South Bend, Indiana tournament in 2002. 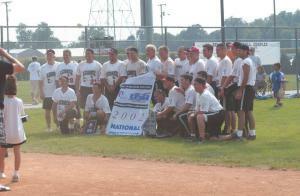 Martin Garcia also played for the Maxim Softball team and helped them secure 2nd place in Team All American. In addition, he’s played with the Miller 45’s and team Flashback, winning competitions in Crystal Lake, IL and Glendale, AZ. His passion for sports eventually led him to volunteer with the USSSA where he helps develop young athletes and instills positive values such as trust, respect, and camaraderie. The USSSA is more than just one of the country’s leading sports leagues. Volunteers like Martin Garcia see it as an opportunity to empower youth in local communities and give young athletes a chance to improve their talents. Through USSSA involvement, youth learn how to become valued members of society and are taught positive habits and traits that will carry on into their adult lives. Mr. Garcia ensures each player respects their teammates, finds support and encouragement from adults, and can regularly play competitive sports in an environment that they feel comfortable in. Through this positive atmosphere, youth take on greater responsibility, improve their health, and learn skills that will set them up for success all while engaging in a fun and exciting extracurricular activity. In addition, Martin Garcia encourages his teammates to give back to their local communities and support charities in their spare time. As a team, Martin Garcia’s Lake County Lightning engage in outreach programs and support charities together, most notably Feed My Starving Children (FMSC). The mission of FMSC is to provide nourishing meals to starving children all over the world, and it’s only able to achieve such an impact because of the tens of thousands of global partners and volunteers. Through the FMSC charity, Martin Garcia and the Lake County Lightning team help pack nutritious meals that are distributed globally where they’re needed most. The charity designates over 90 percent of donations to directly feed starving children around the world and packs hundreds of millions of care and food packages each year.